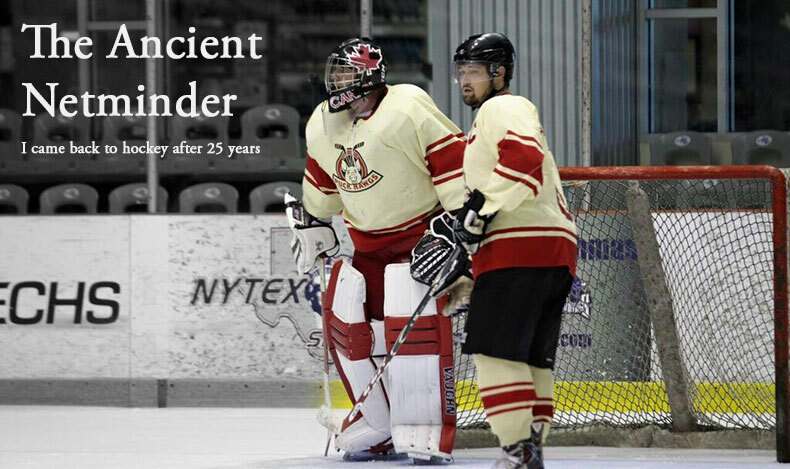 The Ancient Netminder: Do Ringers Help? 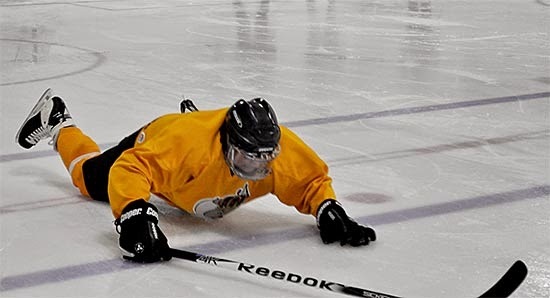 December marks the end of the fall hockey season here in the Dallas area. Today is December 11th and my hockey calendar for the rest of the month and into January is a wasteland of empty boxes. Not a game in sight. All three of my beer league teams lost in the first round of the play-offs and I'm feeling blue. I had some terrific games in net this season. I also had some bad games. The funny thing is that I didn't win all the ones I played great and I didn't lose all the ones where I couldn't stop a beach ball. Funny thing about team sports. December also means I'm two full years back in net after more than two decades away from hockey and I know that I've made tremendous improvement in my game. I know I can hold my own in divisions ranging from 'D' to 'B', given the chance. Gone are the feelings from that first year that I was an embarrassment to my team mates or that I was always the worst goalie on the ice. It's a bit like wearing a coat of confidence that allows me to focus on my game and more on the fun and enjoyment. But it wasn't like that in the beginning. I know the feeling of being one of the worst players on the ice and struggling to find the joy in hockey when you are surrounded by better players. I was reminded this week about the struggle for beginners after a discussion blew up on Facebook for one of my leagues. The issue at hand is the never ending argument of how best to let beginners or those with limited skills feel like they are a meaningful part of a team when often the divisions are riddled with players who are much better. Any beer leaguer you ask will freely tell you about this game or that game, this team or that team, that stock a ringer or two on the roster. 100% of the time that I'm in a team locker room after a loss, the topic of the other team's ringer comes up. But do ringers help inspire lower-level players to greater play? Do they raise the level of competitiveness? It's arguable they do but with an exception. At the lowest level of play, having a player with much higher skill level only demoralizes, not inspires. I agree with JR and I empathize. Anyone who has ever been in a similar situation would probably agree that if there's no competition, there's little fun on the ice. Many of us have played games where we were dominated to a point where it was a chore instead of a thrill to play. So, my message to anyone playing beer league who knows they are playing below the appropriate level is this: become a mentor, a coach and a team mate. Make those around you better by dishing the puck and setting up goals. Allow others of lower skills- even opponents, to carry the puck, to shoot and score. Do everything you can to elevate your own team mates towards a more thrilling game. If that doesn't sound like a fun and rewarding way to play hockey, I only have one question... why are you playing down?